Econet Media’s new South African venture Kwesé Free TV has received a commercial free-to-air broadcasting licence and radio frequency spectrum licence in country, giving the broadcaster 55% of the third South African digital-terrestrial multiplex frequencies. 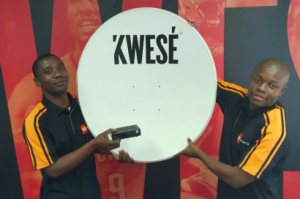 The move will give Econet Media-backed Kwesé the ability to launch five free-to-air channels in the country, including its free-to-air HD sports service. The South African operation is 20% owned by Econet, with Royal Bafokeng Holdings owning 45% and Mosong Capital owning 35%. Kwesé TV has hitherto offered services in 18 African countries, excluding South Africa, where it is headquartered but has not offered a service. Last year, the operator unveiled a strategy shift that saw it move away from DTH satellite pay TV towards free-to-air broadcasting based on its Kwesé Free Sports service and streaming. In January, Econet acquired Asian SVOD player Iflix’s stake in the Kwesé Iflix streaming joint venture. South African regulator ICASA, which granted the terrestrial licence, said that the licensing of an additional individual commercial free-to-air television broadcasting service and related spectrum would stimulate competition and increase the variety of television broadcasting services available to South Africans. “Broadcasting services play a crucial role in deepening our democracy, by, among other things, providing a platform for the expression of multiple views and strengthening social cohesion as well as giving a voice to various sections of the population,” said ICASA councillor Dimakatso Qocha.